Cancellations due to unforeseen circumstances are subject to written approval. Consideration for cancellation is required in writing together with supplementary documentation justifying reason for cancellation. No show on check in date without prior written advise will render the entire booking null and void and no refund will apply. All succeeding days of stay under the booking after a No Show will be void and cannot be used. Payment for cancelled bookings due to force majeur can be re-booked once within six (6) months from the date of cancellation subject to room availability & room rate differential increment. Please note that except by prior arrangement confirmed in writing (via email), only the number of persons specified on a booking confirmation may occupy a room. Situated in a 1,072sqm of land. 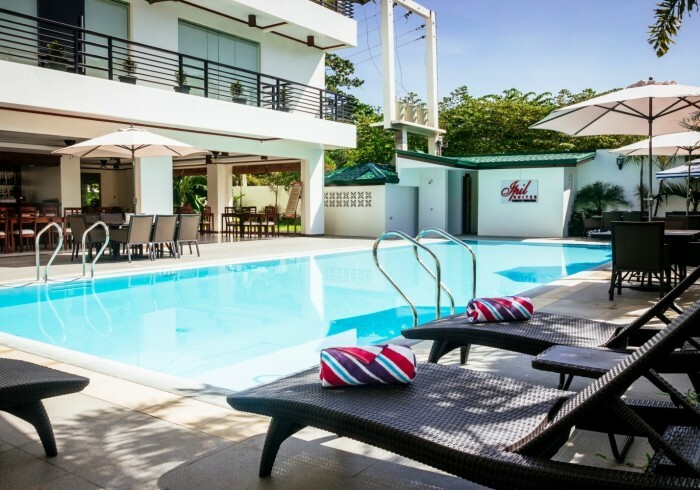 Ipil Suites Puerto Princesa comprises of four storey building with adjacent swimming pool and open garden at the 3rd floor. Comprises of forty rooms ranging from Standard to an exclusive Penthouse to suit different requirements. With Conference Hall and Gym so cater different needs. Is three minutes walk from the airport. Walking distance to the shops, bars and restaurants in town.